CP currently employs over 280,000 people in fifteen countries and generates over 33 Billion USD annually. Visit the booth of Charoen Pokphand Group (CP) at TCCEXPO 2012 booth no.AD01. From its modest beginnings, Charoen Pokphand Group (CP) is now the largest business conglomerate in Thailand. CP’s roots can be traced back to an unassuming seed shop created in 1921 that grew and prospered into a global enterprise. The shop has also expanded to become a feed mill in 1959. After that, the company repeatedly diversified into a number of highly successful, global businesses. These businesses include agro-industry and foods, finance, plastics, pharmaceuticals, pet foods, information technology, automotives, telecommunications, international trading, crop integration and property development. The Charoen Pokphand Group honors Thailand with its phenomenal business success. CP currently employs over 280,000 people in fifteen countries and generates over 33 Billion USD annually. Founded by Mr. Ek Chor and Mr. Siew Whooy as a small seed shop in Bangkok, the humble seed company grew to become a feed producer, later evolving into livestock faming, processing, marketing and distribution. The company now functions as an agribusiness that spans food production from sprouting seeds and raising animals to ending up with a grand finale on retail shelves. Today CP is the world’s largest producer of animal feed and shrimp and one of its largest poultry producers. From seeds, feed and food, CP expanded into telecommunications, business solutions and retail outlets. CP is a paramount global player born from the rich soils of Thailand. Visit the booth of Charoen Pokphand Group (CP) at TCCEXPO 2012 booth no.AD01. 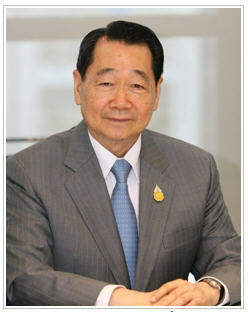 TCC stands for Thai Chamber of Commerce who will hold TCC Expo 2012 “the Best of Siam” to celebrate its 80th Anniversary. TCC Expo 2012 is expected to attract more than 1,000 exhibitors and over half a million trade and public visitors! TCC Expo 2012 trade fair is the Place to Be for people who wish to expand cooperation, seek business opportunities and share cutting-edge technology and products. For more information about Charoen Pokphand Group, please click http://www.cpthailand.com.